Rinse salmon, and arrange in a 9×13 inch baking dish. Sprinkle salt, pepper, onion powder, and dill over the fish. Place pieces of butter evenly over the fish. Bake in preheated oven for 20 to 25 minutes. 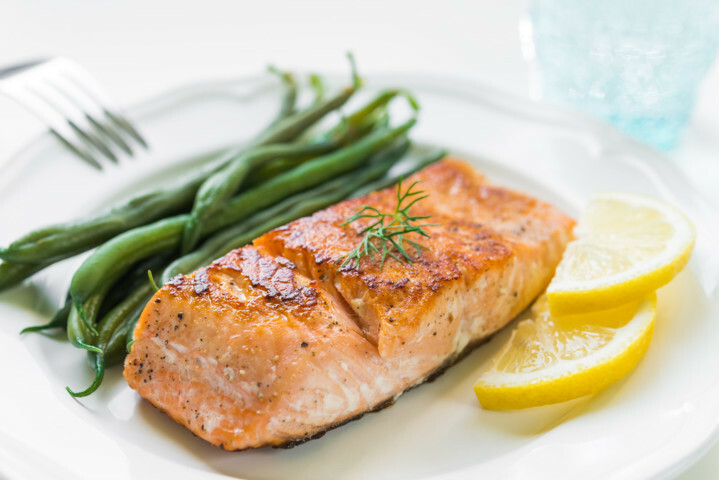 Salmon is done when it flakes easily with a fork.